Easter is finally upon us! Just to let you know that Little Himalaya Salt Rooms will be closed this Good Friday, 19th April and Easter Monday, 22nd April. 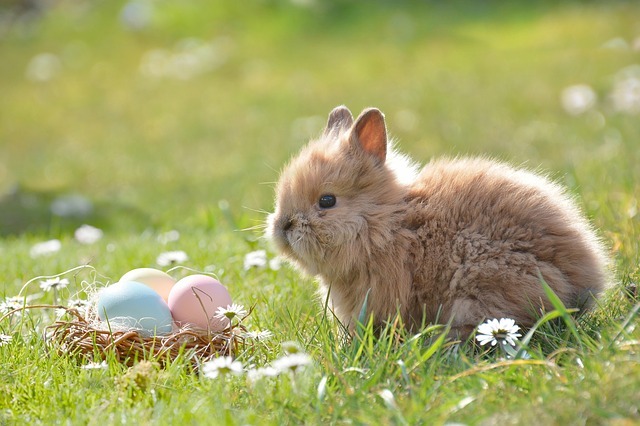 We are however open all day as usual (9am – 5pm) this Saturday, 20th April, so if you fancy an Easter dose of salt therapy, then we are still here for you! To make a salt cave appointment, visit our bookings page, call us on 01926 257364 or drop us an email at info at littlehimalaya.co.uk. First sessions are still just £12. In other exciting news, we have just received our latest eagerly awaited consignment of Himalayan Salt Lamps, which now come in their own individual cotton bags! We have a large range of different shapes and sizes so please do pop in and have a look at what takes your fancy. You can find more information about these beautiful lamps on our Himalayan Salt Lamps page. I have suffered from severe Asthma since childhood and the salt cave at Little Himalaya has provided some welcome relief to my symptoms. There is no magic cure unfortunately but I can genuinely say that my breathing has improved immensely since I started to have twice-weekly salt therapy sessions. This is without doubt one of the best Asthma treatments that I’ve tried to date.